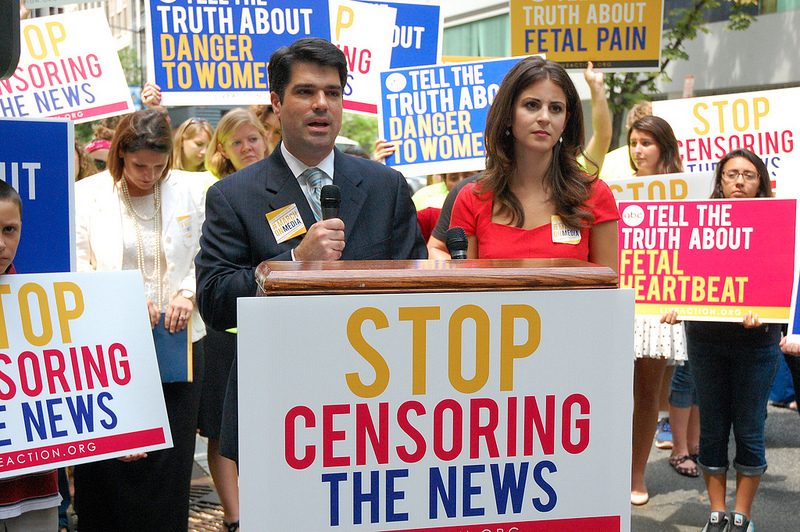 When it comes to pro-life, media is not reliable. These days there is a movie in the cinemas, about Børre Knudsen, a pro-lifer without compromise. En prest og en plage is the name of the movie. It means “A Priest and a Nuisance.” It was with interest I read about this movie, because no one has been as vocal as him and his companion, Ludvig Nessa. The latter I had the privilege of hearing in high school. They both preached in the former Norwegian State Church about the unborn, and they both were fired because of that. They risked everything. They did rescues at hospitals, they marched. They gave a decent burial to an aborted baby, until the police came and made sure that wasn’t going to happen. They were hated, attacked, and abandoned even by some major groups of pro-life Christians. And they were projected as misogynists and women-haters. It is said that they screamed “baby killers” in the faces of women who are miscarrying. Is that true? I don’t know, for as I have previously written, all abortions in Norway happen at public hospitals where a lot of other patients are seen for gynecological reasons. Private gynecologists are able to dig into the abortion money pit, by doing medical abortions outside hospitals, on public pay of course. It is sad to think that rescues, or sidewalk counseling, so common in the US, are seen as inappropriate in Norway, or even impossible. Especially when the people stabbing you in the back are your fellow pro-lifers. Yet, the media presented it as, “Why were you so mean to me, Mommy?” At least four words were changed, added, or removed from the Norwegian text. It is important to remember that when it comes to pro-lifers, the media will go to extremes to demonize us. The most effective way of ensuring continued abortion on demand is not just hiding the truth of abortion, but making sure we are not taken seriously. If we are demonized, then no one will believe us. I once read a comment to an article about a girl who knew abortion was wrong, but she didn’t want to give any credit to pro-lifers, so she still defended it. We need to push our women to the front. We need to show that women are on the front lines defending life inside women. Show everyone that women are pro-life, unashamed, and unafraid. That’s why I love Live Action. But of course, Lila Rose is demonized also. What can we do to change our image in the face of hostile media and publicly funded abortion proponents? Lives depend on it, and we can’t give up on truth. We can’t compromise for the unborn. We have to watch the media, correct them at every way. Support each other. I hope we can learn from you in the U.S., both from your strengths and your challenges. In Norway, being unabashedly pro-life is highly stigmatized, and the media lies about us. Maybe I myself am a coward, but I think the feeling of Thou Shalt Not Judge is so strong that it is easier, when you know post-abortive women, to speak out without using your real name. At least the message gets heard. I wish it wasn’t so. Please pray for the Norwegian unborn, for our movement, and for the ones on the front lines. It is sorely needed. Editor’s Note: This letter was sent to us from Heidi in Norway.